Proud to announce Quorum becomes Employee Owned! Today marks the day that Quorum makes the exciting move to employee ownership and a strong future for our employees and customers! This makes us one of only a few employee-owned tech companies in the country. Founded in 1999, we are an IT Consultancy and Managed Services Provider who provides services to a variety of UK wide firms, in industries including banking, legal and the oil industry. As Quorum has continued to grow and thrive very successfully against a turbulent political and economic backdrop, our founders, Andrew Watson and Charles Scott, began to consider what the future of the company would look like. Employee Ownership allowed them to initiate a succession plan well ahead of any actual exit. An employee trust will own the majority of shares in the business on behalf of our employees, with Andrew and Charles continuing in the roles of Chief Executive Officer and Chief Operating Officer respectively. We have worked closely with Co-ownership Solutions and Scottish Enterprise to ensure that Employee Ownership is the right thing for Quorum and to make certain that we adopt the correct model. Transitioning to Employee Ownership offered us a graceful way of keeping the company running in its current form and guarantees that employees have input into and can benefit from future changes. 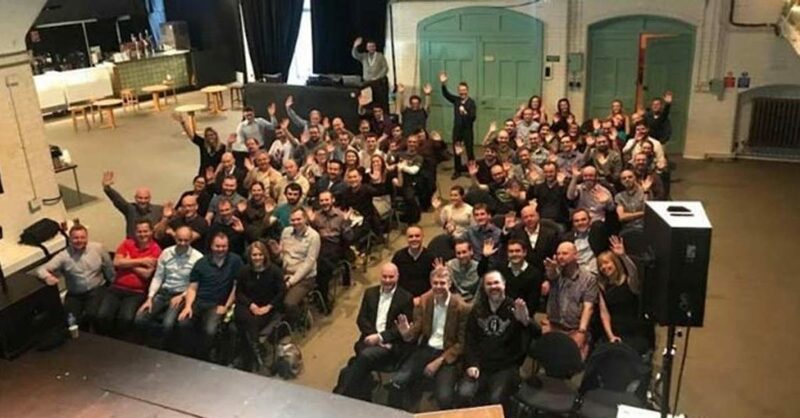 “The change to employee ownership means that the team at Quorum can relax knowing that it will always remain an independent organisation operating for the benefit of its employees. Charles and Andy’s decision to choose employee ownership is further evidence of this model being seen as a sensible and mainstream business succession model“.